LMCC Snowy Ride - 5th-7th Nov 2010 - Photo by Chris L.
Jan 25-27 - Classic Phillip Island - 4 LMCC Members Racing! Ride back 1/2 way Sun Arvo > Return Mon Morning ~ ring the Pres. 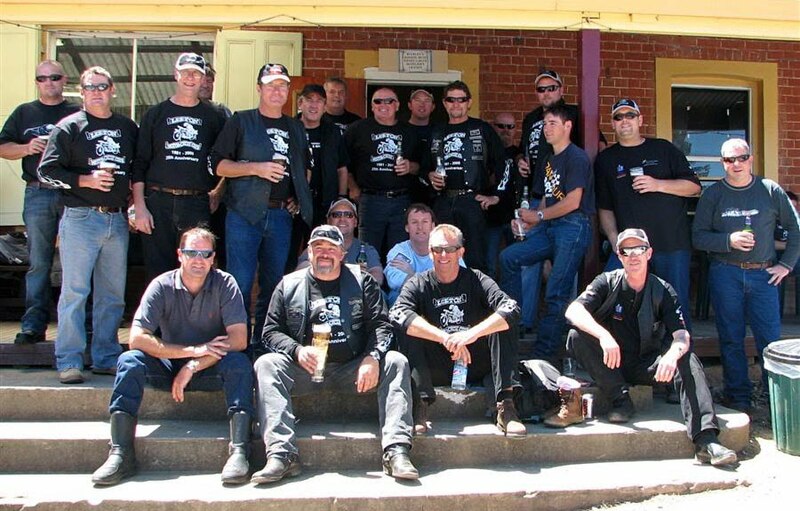 Mar 29,Sat - Apr 6,Sun - SOCIAL / RIDE - "PRESIDENTS RIDE"
~ just 5 days off work! (plus weekends = 9 days) suggested ideas? 2nd Day, Sun - 6:30am arrive in Tassie - ride wherever? stay wherever? 3rd Day, Mon - free day, ride wherever? arrive for over-night catchup in "Strahan"
4th Day, Tue - free day, 8:00am leave Strahan - ride wherever? stay wherever? 5th Day, Wed - free day, ride wherever? arrive for over-night catchup in "Hobart"
6th Day, Thur - ideas? ride down south-east coast? 7th Day, Fri - ideas? ride up through centre?